SOLAS signal table. 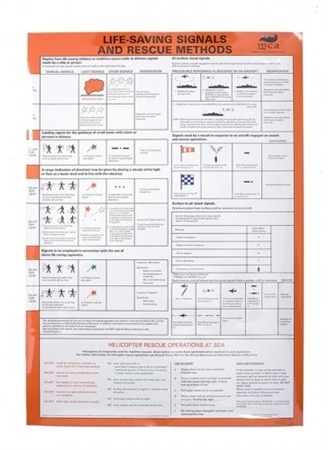 Illustrated clear instructions on useful life saving signals. Poster version. Gael Force Black Signal Ball - 12"